Prime Minister Benjamin Netanyahu says the Palestinians are “spoiled” by the European Union, and says that US President Donald Trump told them “the truth” when he declared Jerusalem the capital of Israel. Speaking to reporters just before leaving Brussels, Netanyahu says the latest flareup in tensions is rooted in Arab anti-Semitism, and not the settlement enterprise, or the change in US policy toward Jerusalem. “The refusal to recognize a nation-state for the Jewish people in any boundaries is the source of the Israeli-Palestinian conflict,” he says. A fifth day of angry protests was expected in the Middle East over US President Donald Trump’s declaration of Jerusalem as Israel’s capital, as Palestinian Authority President Mahmoud Abbas visited Cairo for crisis talks. Protests were being planned for Lebanon and Iran as well as in East Jerusalem and the Palestinian territories. 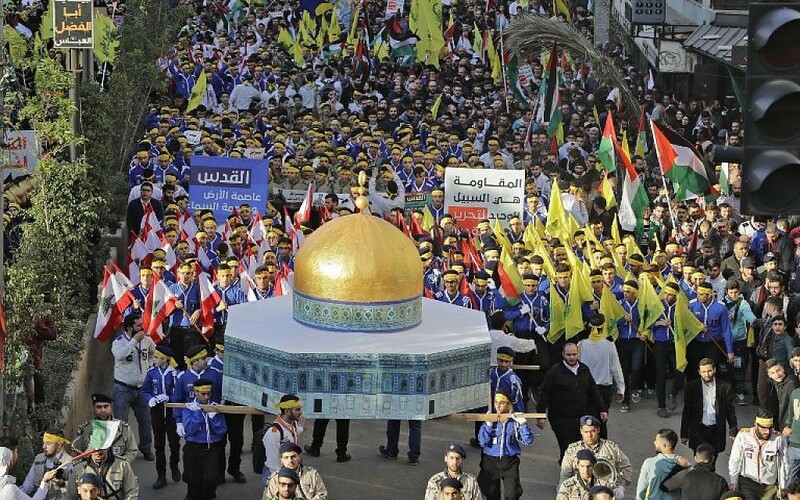 Hezbollah, the Lebanon-based terror group which fought a war with Israel in 2006, called for the demonstration in Beirut’s southern suburbs, with large crowds and a speech by the Shiite group’s leader Hassan Nasrallah expected in the afternoon. A large turnout was also expected for a protest in Tehran. In Indonesia, demonstrators burned US and Israeli flags in front of the American embassy in Jakarta to protest the move. Iran’s Foreign Ministry says it will raise the case of a detained British-Iranian woman with the judiciary “out of humanitarian concerns” following a visit by Britain’s foreign secretary. Ministry spokesman Bahram Ghasemi says the final decision on whether to release Nazanin Zaghari-Ratcliffe, who is serving a five-year sentence for allegedly plotting to overthrow the government, rests with the judiciary. Zaghari-Ratcliffe “is considered an Iranian national and should serve her prison conviction according to the judicial system of Iran,” he added. British Foreign Secretary Boris Johnson raised the case during a two-day visit to Iran that concluded yesterday. Zaghari-Ratcliffe, a charity worker, was detained in April 2016. Her family has denied the allegations against her. She is among several dual nationals held in Iran, where the judiciary and security forces are dominated by anti-Western hard-liners. It’s unclear whether Foreign Minister Mohammad Javad Zarif, a relative moderate, can secure her release. A top Egyptian rights lawyer says at least eight protesters were detained and accused of “association with a terrorist organization” after joining a small protest in Cairo over the Trump administration’s decision to recognize Jerusalem as Israel’s capital. Khaled Ali says the protesters were arrested on Saturday in front of the Egyptian Press Syndicate in downtown Cairo after rallying against President Donald Trump’s move. It wasn’t immediately possible to reach the prosecutors for comment. Ali says those detained, including a female activist, are accused of links to the Muslim Brotherhood group, Egypt’s onetime largest Islamist group which was outlawed after the ouster of the Islamist President Mohammed Morsi in 2013. Egypt’s President Abdel-Fattah el-Sissi is a close ally of Trump, whose announcement triggered protests across the world. Netanyahu says he told EU leaders on his two-day visit to Europe that Israel is talking concrete steps to jump-start peace talks with the Palestinians. When asked by EU leaders whether Israel was willing to make confidence-building gestures to the Palestinians, he says he told them: “We’re already doing it,” referring to infrastructure projects meant to improve the quality of life for residents of the West Bank. Netanyahu goes on to say that all the leaders he spoke to condemned terrorism against Israel, speculating that it came in response to his statement over the weekend accusing Europe of “hypocrisy” and a “double standard” after they condemned Trump’s recognition of Jerusalem but failed to denounce rockets fired at Israel from Gaza. Netanyahu also says he told the EU ministers that they must not support anti-Zionist NGOs that promote terrorism. “I promised them a proper list of NGOs that do that,” he says, without mentioning any by name. 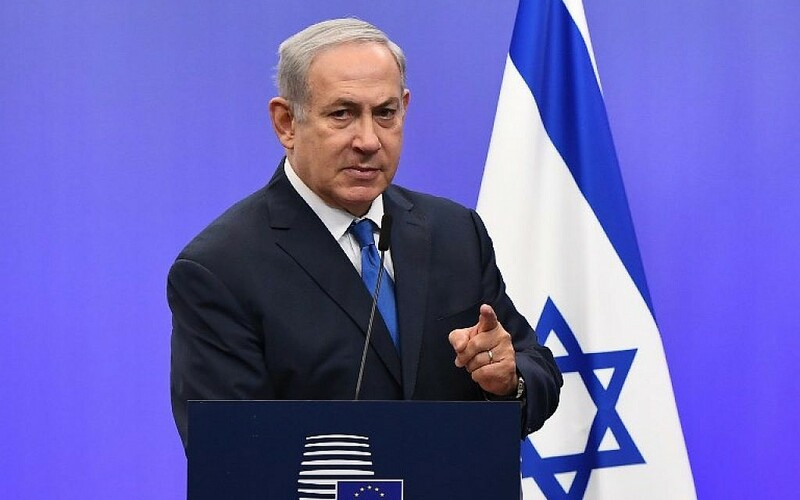 Netanyahu’s aides earlier this week had described Brussels as a “lion’s den,” but Netanyahu says he didn’t feel antagonism during his visit. “I felt like a lion,” he quips. He says his party will lodge a bill recognizing the genocide, a step Israel has traditionally avoided over fears of angering Turkey. “Erdogan crossed the line. He funds the Murabitat in Jerusalem, Raed Salah and the former mufti of Jerusalem. He attacks IDF soldiers and calls them murderers. He is part of the problem with regards to Iran’s presence in Syria. It cannot stand without a response,” says Lapid. “Someone who denies the murder of hundreds of thousands of children in the Armenian genocide won’t lecture us. Someone who cooperated with Iran and Hezbollah in Syria, in a war which has left half a million dead, won’t lecture us,” adds Lapid. The Yesh Atid leader further condemns the reconciliation deal with Turkey, which saw Ankara and Jerusalem restore ties, years after Turkey severed diplomatic relations over the 2010 Mavi Marmara incident. “The reconciliation agreement with the Turks, after the Marmara incident, was a diplomatic mistake and it has failed. We won’t be threatened. Not by the Turks. Not by the Palestinians. Not by the Arab world. If anyone didn’t like President Trump’s announcement – that’s their problem,” says Lapid. Netanyahu yesterday hit back at Erdogan, accusing him of aiding terrorists, bombing Kurdish villages, jailing journalists, and helping Iran avoid international sanctions. The final votes on the so-called police recommendations bill will not be held in the Knesset plenum today, after the opposition lodges thousands of objections to the proposed legislation. After hours of votes in the Knesset’s Internal Affairs Committee to finalize the bill, committee chairman Likud MK David Amsalem delays the panel’s proceedings until tomorrow. Until the bill is finalized in the committee, it cannot be brought to its final plenary votes that would pass it into law. The lawmakers are debating an amended version of the bill which excludes its application to ongoing investigations into Prime Minister Benjamin Netanyahu and coalition chairman David Bitan. The German government says it’s “ashamed” of weekend demonstrations against the US decision to recognize Jerusalem as Israel’s capital, which saw some protesters chant anti-Semitic slogans and torch Israeli flags. Government spokesman Steffen Seibert tells reporters that although Berlin opposed the move by US President Donald Trump last week, it strongly condemns protests in German cities where “hatred” of Israel and Jews was expressed. Seibert noted that Berlin had a “particular responsibility toward Israel and Jewish people in general” because Nazi Germany slaughtered six million Jews in the Holocaust. He says that while Germany protected a constitutional right to free speech and assembly, that freedom did not cover incitement of racial hatred or violence. “It is important that we continue to stand up to all of that,” he says. Labor party chairman Avi Gabbay reiterates his call for new elections. He slams the government’s proposed legislation to shutter minimarkets on Shabbat — tentatively scheduled for its first vote on later this evening — and the so-called police recommendations bill. He calls the police recommendations law “terrible,” saying it helps “criminal organizations” and facilitates corruption. New York police they are investigating an explosion of “unknown origin” in Manhattan, and that people were being evacuated. “The NYPD is responding to reports of an explosion of unknown origin at 42nd Street and 8th Ave, #Manhattan. The A, C and E line are being evacuated at this time. 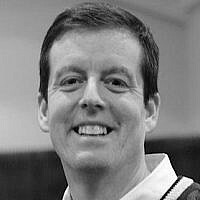 Info is preliminary, more when available,” the New York police department posts on their Twitter account. It’s led to delays along some of the subway lines that pass beneath the bus terminal. Some passengers have been evacuated as a precaution. The explosion in Manhattan was caused by a pipe bomb that exploded prematurely, according to CNN. The individual carrying the bomb was injured in the explosion and has been taken into custody. Defense Minister Avigdor Liberman doubles down on his criticism of the bill to shutter minimarkets on the Jewish day of rest. Liberman’s Yisrael Beytenu coalition party, along with several other coalition lawmakers — Likud’s Yehudah Glick and Sharren Haskel and Kulanu’s Rachel Azaria — have previously announced they would vote against the proposed legislation, which was tentatively scheduled for its first vote on Monday evening. President Donald Trump was briefed on the explosion, White House spokeswoman Sarah Huckabee Sanders wrote on Twitter. New York Mayor Bill DeBlasio was also briefed on the situation, according to police reports. BREAKING: Bomb explosion at Port Authority bus terminal in #Manhattan, police are checking the cause. 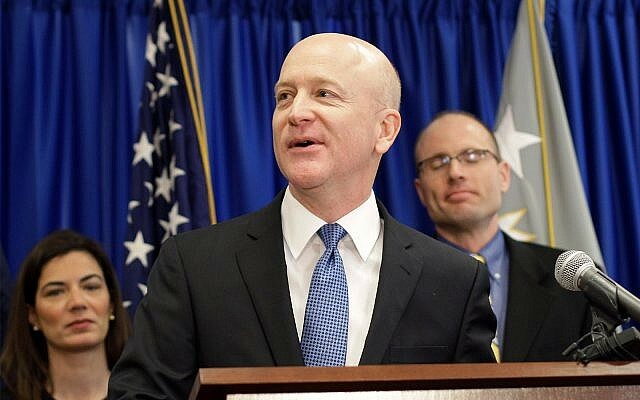 A law enforcement official tells The Associated Press that a man had a pipe bomb strapped to him when it went off on a New York City subway platform. 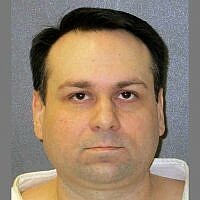 He was arrested and has non-life-threatening injuries. The Beit Shemesh municipality begins the court-ordered removal of the “modesty” signs in the city. 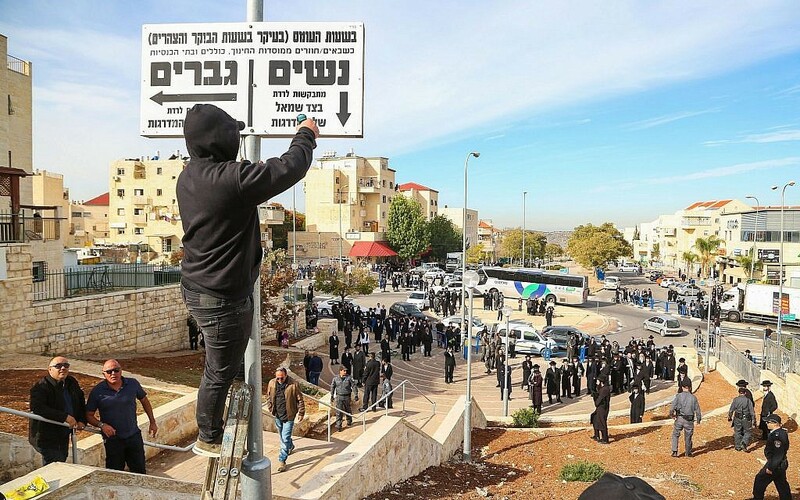 Large numbers of police are deployed to protect municipal workers from hard line ultra-Orthodox residents protesting the removal of the signs. Shortly after one of the signs was removed from Nahar Hayarden Street in the neighborhood of Ramat Beit Shemesh, spray-painted instructions appeared on a nearby wall ordering residents to keep the sidewalks gender segregated. The signs are being removed in accordance with a High Court of Justice ruling. Egypt and Russia sign a final contract for the building of Egypt’s first nuclear power plant, during a visit to Cairo by Russian President Vladimir Putin. The contract to build the plant in Dabaa on the Mediterranean coast is signed during a live ceremony shown on state television and attended by the Russian leader and Egyptian President Abdel-Fattah el-Sissi. The contract is signed by the head of Russian state nuclear company Rosatom, Alexei Likhachev, and Egypt’s electricity and renewable energy minister, Mohamed Shaker. Egyptian media reports put the cost of the plant at around $30 billion. 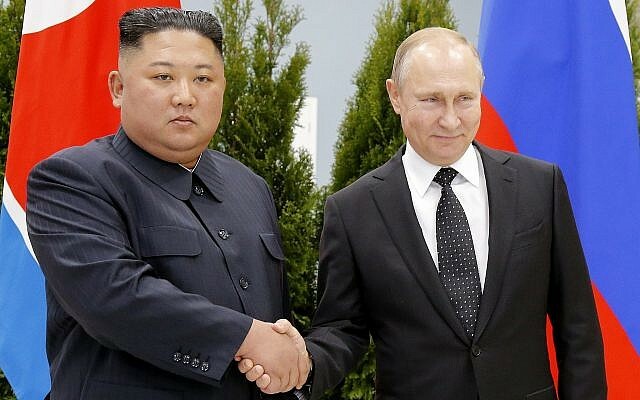 The two countries signed two agreements in November 2015 for Russia to finance and build the power plant, with four 1,200 megawatt reactors, in Dabaa. Thousands of Lebanese Hezbollah supporters take to the streets of Beirut to protest US President Donald Trump’s decision to recognize Jerusalem as the capital of Israel. 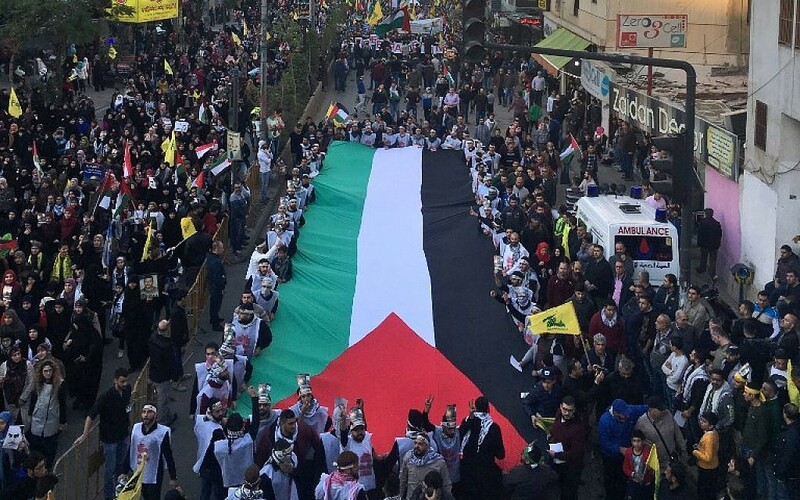 The demonstrators marched through the terror group’s strongholds, after Hezbollah Secretary General Hassan Nasrallah called for a “major demonstration” to denounce Trump’s decision. Russian President Vladimir Putin calls for Israeli-Palestinian peace talks to resume, including on Jerusalem, following the controversial US decision to recognize the city as Israel’s capital. Four people are injured in the blast that rocked a subway station in the heart of Manhattan, firefighters say, but none of those injuries was life-threatening. Police had said earlier the only injured person was a man detained in connection with the explosion, which took place in the station at the Port Authority bus terminal, not far from New York’s iconic Times Square. The trial opens this afternoon of an Uzbek citizen who confessed to killing 39 mainly foreign victims, including an Israeli, at an Istanbul nightclub in a New Year’s gun attack claimed by the Islamic State extremist group. Abdulkadir Masharipov, 34 at the time of the attack, goes on trial at the Silivri prison complex outside the center of Istanbul along with 56 other suspects. Masharipov, who was present in court for the first hearing, faces 40 life sentences, one for each of the victims and the massacre itself. The others on trial include Masharipov’s wife Zarina Nurullayeva who is a suspected accomplice and faces similar penalties to her husband. All but six are being held in custody. Masharipov was captured alive in a massive police operation and analysts say his evidence in confessions have helped Turkish authorities break up the elaborate network of jihadist cells in the city. Police say the explosion happened in an underground passageway under 42nd Street between 7th and 8th Avenues. The 7:30 a.m. blast caused smoke to fill the passageway, which was crowded with throngs of Monday morning commuters. Three people were injured, as was the suspected bomber. Hezbollah leader Hassan Nasrallah tells supporters at a mass rally in Beirut that Palestinians embarking on a new intifada is the most effective way to protest Trump’s shift on the status of Jerusalem. “Trump’s decision on al-Quds will be the beginning of the end of Israel,” he says using the Arabic word for Jerusalem. He also urges the Palestinians to sever diplomatic ties with allies of Israel, and calls on Jordan and Egypt to repeal their peace treaties with Israel. The Lebanon-based Hezbollah is committed to the destruction of Israel. A few hundred diehard Iranian conservatives rallied on Monday against Israel and said US President Donald Trump had hastened its demise with his decision to recognise Jerusalem as its capital. “I don’t think there will be a need to send any troops because there are a lot of people in Lebanon, Syria and inside the Palestinian territories. 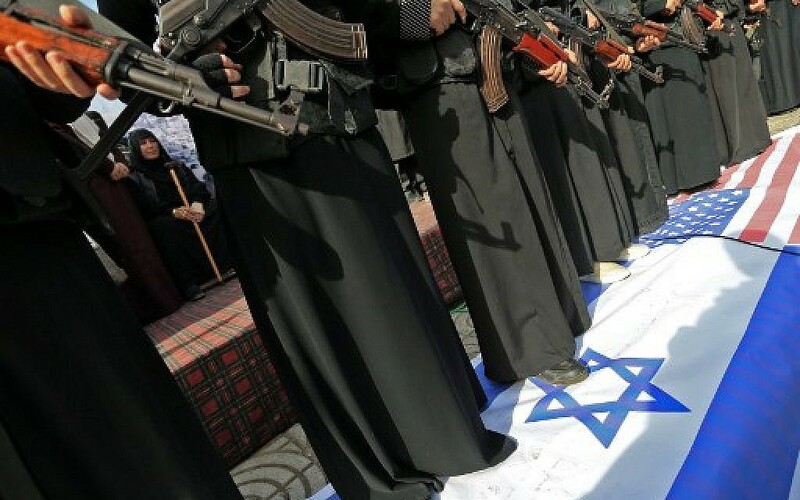 They will be enough to get rid of the Israelis,” a cleric, Seyed Abdullah Hosseini, tells AFP. “Mr Trump has done a good job of speeding things up. 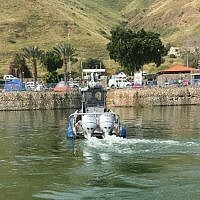 We were expecting Israel to be dismantled later… but this is the beginning of the end of Israel,” says Hosseini. Police have identified the 27-year-old man who detonated an explosive device strapped to his body in the New York City subway. 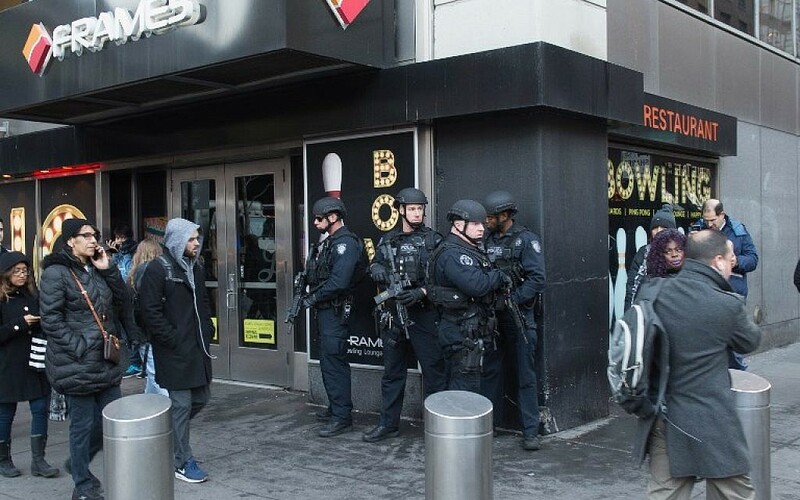 Police say Akayed Ullah intentionally exploded the crude device in a passageway under Times Square during the morning rush hour Monday. They say he is in custody. They say the device is a crudely made pipe bomb. 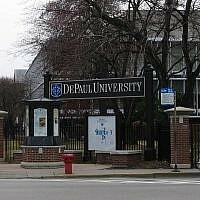 Authorities called the incident an attempted terrorist attack. Three other people suffered minor injuries, including headaches and ringing in the ears. The suspect had burns on his abdomen and his hands. Law enforcement officials say he was inspired by Islamic State, but had apparently not had any direct contact with the terror group. EU foreign policy chief Federica Mogherini says no European leaders plan to follow US President Donald Trump in recognizing Jerusalem as the capital of Israel. But Mogherini says EU ministers were concerned about Trump’s move. “We do not wish to see a discredited US administration when it comes to the negotiations in the Middle East,” she says. 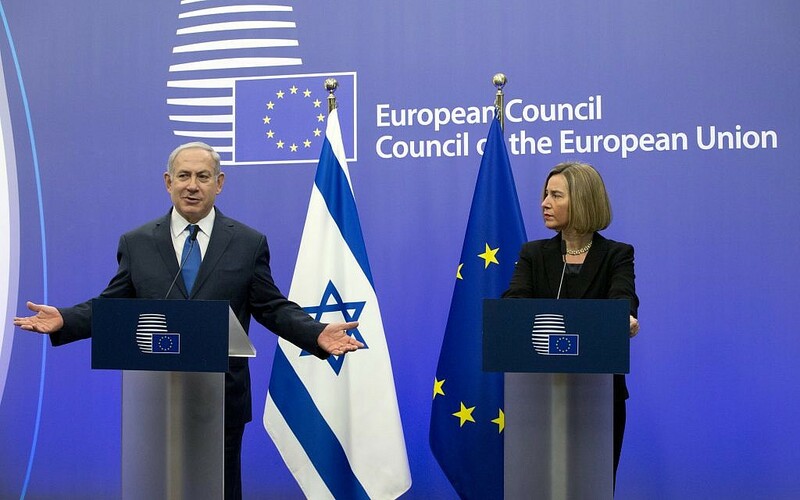 As far as EU member countries relocating their embassies in Israel, Mogherini was quick to disabuse Netanyahu of the idea. “He can keep his expectations for others, because from the European Union member states’ side, this move will not come,” she says. The Knesset Finance Committee approves the transfer of NIS 45 million ($12.8 million) for bulletproof buses for West Bank roads. While the money had been earmarked as part of the 2018 budget, the transfer had been delayed for months, leading Jewish Home MK Moti Yogev to issue a threat on Sunday that he would not vote with the coalition until the money was transferred. “This budget will save lives of students and other passengers in Judea and Samaria (West Bank), as we unfortunately witnessed last night in a shooting attack on a bus in Samaria,” says Yogev referring to a bulletproof bus transferring Israeli students that was shot at outside of the Beit El settlement. The approval comes a month after the conclusion of an aggressive campaign led by settler leaders to transfer an NIS 800 million ($228 million) security package for West Bank roads and infrastructure development. The campaign drove a wedge between settler leaders, but concluded in a written agreement signed by the prime minister in which he agreed to immediately transfer NIS 200 million for the Qalandiya and Beit Aryeh bypass roads and to transfer an additional NIS 600 million in January 2018 for other security improvements. Jessica Leeds, Samantha Holvey and Rachel Crooks tell of the alleged harassment by Trump spanning decades. Defense Minister Avigdor Liberman says Israel’s northern home front is not adequately prepared for the threat of war. Cities and communities in the north are “not prepared as they should be,” Liberman says, noting that those communities would face the heaviest bombardment in a future war. He also criticizes the lack of public bomb shelters in those areas. Residents of the Netiv Ha’avot outpost handed out pieces of the woodshop that was demolished last month to coalition lawmakers during their respective Knesset faction meetings. The High Court ruled that the woodshop, a memorial for fallen IDF soldiers, and 15 homes were illegally built on private Palestinian land, sanctioning their demolition. While the homes in the extended neighborhood of the Elazar settlement are slated to be razed on March 8, 2017, the High Court ruled that the two non-residential structures needed to be razed earlier. In July, the residents demolished the war memorial and inaugurated a replacement monument in a less problematic location in the settlement. However, the woodshop remained, leading Israeli security forces to demolish the shack on November 29. “While the first building in our neighborhood was indeed demolished because of them (MKs) and because of the prime minister, it is still possible to legalize the neighborhood,” the residents write in a statement. “The time has come for the prime minister to first deal with his problems at home and find solutions to them before dealing with Israel’s problems in the world,” they add. Palestinian factions Fatah and Hamas have missed a major deadline in their reconciliation bid by failing to transfer power in the Gaza Strip, with the rivals trading accusations of blame. Yesterday was the deadline for the handover, a decade after Hamas seized power in the Palestinian enclave in a near civil war with Palestinian Authority President Mahmoud Abbas’s Fatah, based in the West Bank. An Egyptian-brokered agreement in early October originally set a December 1 deadline for full transfer of power back to the PA, which is dominated by Fatah, though that was later pushed back to December 10. In Gaza, the situation was essentially unchanged despite the deadline, with Hamas police still patrolling the streets, while crippling electricity shortages endured. Hamas claimed on Saturday it had handed over control of all government ministries, but Fatah’s top negotiator later said “obstacles” remained. As of this afternoon, the PA government spokesman Yousef Mahmud says it had not received full control in key ministries. In a statement on official Palestinian news agency WAFA, he accused Hamas of seeking to stop the handover. Swedish police say they are probing an attempted arson against a Jewish chapel after a similar attack against a synagogue, which came in the wake of the US recognition of Jerusalem as Israel’s capital. Two burning objects had been thrown at chapel, located at a Jewish cemetery, in Sweden’s third largest city of Malmo, the Jewish assembly says in a statement. Malmo police spokesman Lars Forstell tells AFP that the incident is being investigated “as an attempted arson” and that the motive is unclear. No serious damage has been done to the building and no one was hurt. “We strongly emphasise that we can never accept being subjected to threats and attacks,” it said in the statement. Swedish police have tightened security near Jewish sites across the nation following a fire attack on a synagogue in the second largest city of Gothenburg on late Saturday. The IDF says projectiles were launched from the Gaza Strip towards Israel a short while ago. 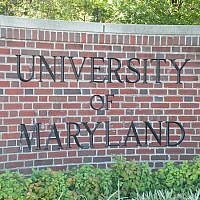 Hits have not yet been identified. In video footage of the ongoing clashes in the West Bank today, an ambulance belonging to the Palestinian Red Crescent Society appears to have assisted rioters clashing with Israeli security forces. The video released by the IDF Spokesman’s Unit shows a group of masked protesters exiting the ambulance at the Ayosh Junction, north of Jerusalem to take part in riots. Palestinians and Israeli security forces clashed at the Junction for several hours earlier this morning. Protesters burned tires and threw rocks and Molotov cocktails at IDF troops. The missile fired at Israel from the Gaza Strip lands in an open area near the border with the Palestinian territory. Reports in Hebrew-language media say the IDF tanks fired shells at the source of the missile fire inside the Strip. 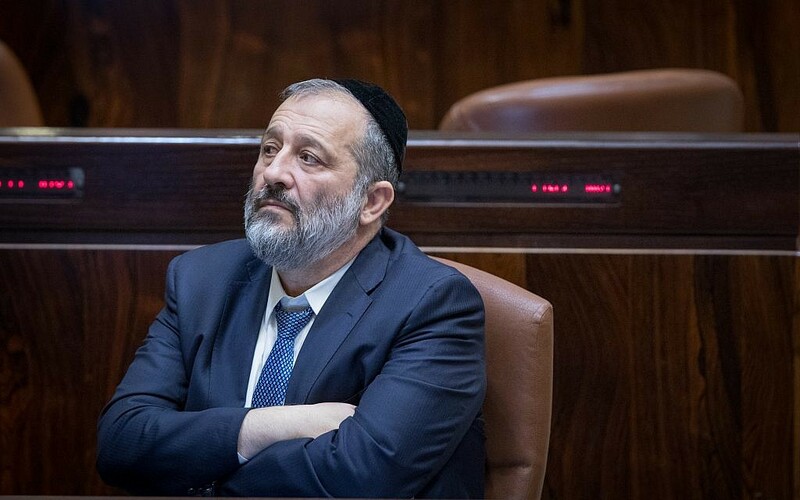 Interior Minister Aryeh Deri says he will resign from the government if the so-called minimarkets bill is not passed into law. 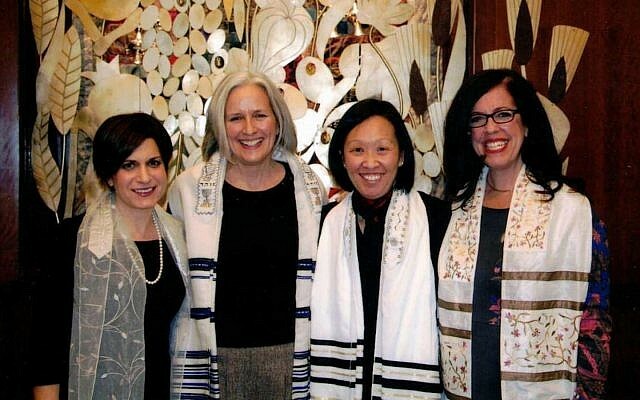 The legislation would grant Deri, who is ultra-Orthodox, the authority to bypass municipal bylaws, to force store owners to close their businesses on the Jewish Sabbath. Members of the Yisrael Beiteinu say they will vote against the law. 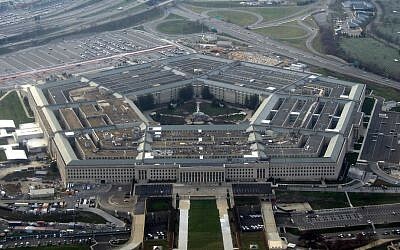 The Pentagon is allowing transgender people to enlist in the military beginning Jan. 1, despite US President Donald Trump’s opposition. The new policy reflects growing legal pressure on the issue, and the difficult hurdles the federal government would have to cross to enforce Trump’s demand to ban transgender individuals from the military. Two federal courts already have ruled against the ban. Potential transgender recruits will have to overcome a lengthy and strict set of physical, medical and mental conditions that make it possible, though difficult, for them to join the armed services. Palestinian Authority President Mahmoud Abbas and Egypt President Abdul Fatah a-Sisi agree to continue coordination and consultations in the wake of US President Donald Trump’s decision to recognize Jerusalem as the capital of Israel. The two leaders held meetings today in the Egyptian capital to discuss the shift in the US’s policy on Jerusalem that has sparked several unrest in the Arab world. “We will continue to consult with our Arab brothers, especially with Egypt, Jordan, Saudi Arabia and the rest of the Arab parties, to confront the coming dangers, especially after the unacceptable American step in Jerusalem,” says Abbas’s spokesperson Nabil Abu Rudeinah says according to the PA’s official news site Wafa. Iranian President Hassan Rouhani tells the leader of the Hamas terrorist group on the phone that together Muslims could defeat Israel. 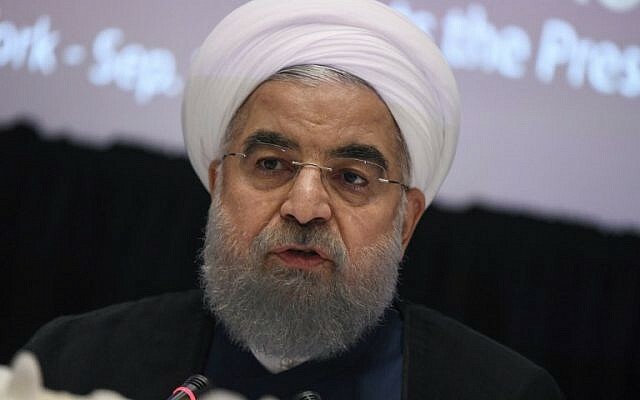 “The oppressed people of Palestine and Islamic ummah (community) will undoubtedly defeat the US-Israeli plan with their unity and resistance,” Rouhani tells Ismail Haniyah, as quoted by the government’s website. 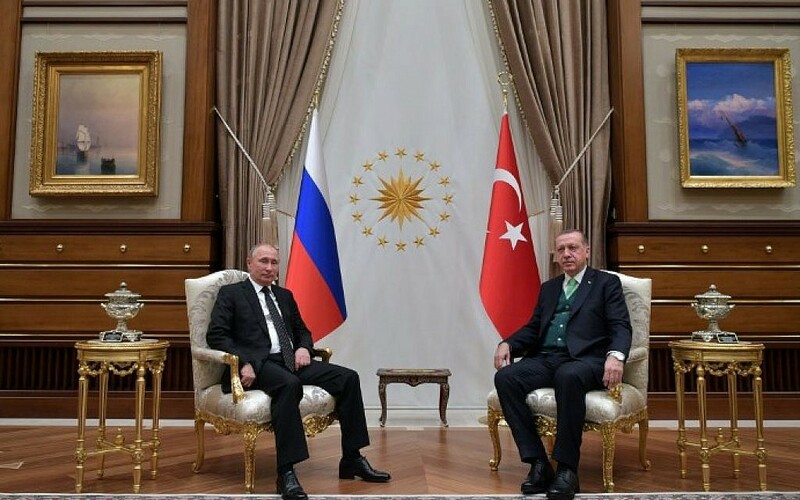 Russian President Vladimir Putin arrives in Ankara to meet his Turkish counterpart, following visits to Syria and Egypt. 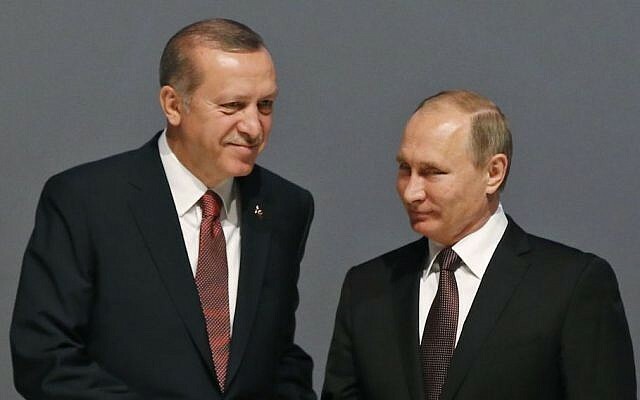 Putin and President Recep Tayyip Erdogan are meeting this evening to discuss developments in Syria and the Middle East, as well as bilateral relations, according to the Turkish president’s office. Russian President Vladimir Putin criticizes the US recognition of Jerusalem as Israel’s capital, warning that it could destabilize the region and derail the Middle East peace process. He adds that Moscow believes that the status of Jerusalem should be settled through talks between the Palestinians and Israel in line with United Nations resolutions.